Jeffrey J. Greer, past President of the NCSLA and former administrator of Rhode Island Liquor Control, was inducted into the NCSLA Hall of Fame based on his contributions to the NCSLA and the beverage alcohol industry. 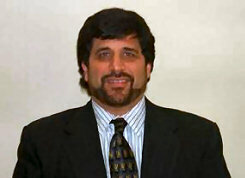 Jeffrey J. Greer was president of the NCSLA serving from July 1, 2003 to June 30, 2004. Jeff and his beloved wife, Nancy Smith Greer, were long time supporters of the NCSLA, friends to many and respected by all. Jeff’s contributions to the NCSLA include advocating for and establishing the principles of financial control and accountability that fostered the economic viability and visibility that the NCSLA enjoys today. Also, in no small irony, Jeff himself was instrumental in creating the NCSLA Hall of Fame that inducted just one (1) member (Abe Buchman) .... until Jeff’s induction in 2012. Mr. Greer was a resident of Providence for more than 20 years. He was the husband of Nancy Smith Greer. Born in Chicago, Ill., he was the son of Dr. David and Marion (Clarich) Greer, of Fall River, Massachusetts. A graduate of Case Western Reserve University in Cleveland, Ohio and Northeastern University School of Law in Boston, Mr. Greer held several legal positions within state government, including Chief of the Appellate Division of the Office of the Attorney General; Associate Director and State Liquor Control Hearing Officer, Department of Business Regulation; Deputy Executive Counsel, Office of the Governor; and Hearing Officer, Administrative Adjudication Division, Department of Environmental Management. He was a member of the Rhode Island, Massachusetts, Florida and Washington, D.C. bar associations. The NCSLA honors and shall forever remember the contributions and legacy of this special man, as NCSLA fosters the discussion on the merits of beverage alcohol policy, the three-tier system, its exceptions, and the need for strong, state-based-regulation.